The sanctions imposed on Russia for the reunification of Crimea will become a formality soon. The latest statements of German politicians point to it, and it is clear that Germany has never doubted who has owned Crimea. Because of the notorious "transatlantic solidarity", which the US itself undermines, Germans are forced to participate - or pretend to participate - in anti-Russian sanctions. An example of this was a recent not fully clarified story with the turbines of the German concern Siemens in Crimea. There was a lot of noise about this for Americans, but not many consequences. In general, Siemens was shut down to avoid an American revenge, but whether they want to do something like this next time? This is a big question. Why do they need to try so hard for a partner who neglects and considers Germany as his trade and economic competitor, almost like China? In an interview with KölnerStadt-Anzeiger, German Foreign Minister Sigmar Gabriel complained about Donald Trump's "unreasonably aggressive rhetoric," and that the new president made the world become the "competition ground" for the United States, where "the strongest wins". "The whole world is shocked by how unpredictable the US policy has become," Gabriel said. And then the Foreign Minister of the Federal Republic of Germany touched a painful topic and offered to "finish the debate" with talking about Crimea and focused on "how to reach an armistice in the east of Ukraine." Gabriel meant Donbassthat broke all sorts of relations with Kiev. 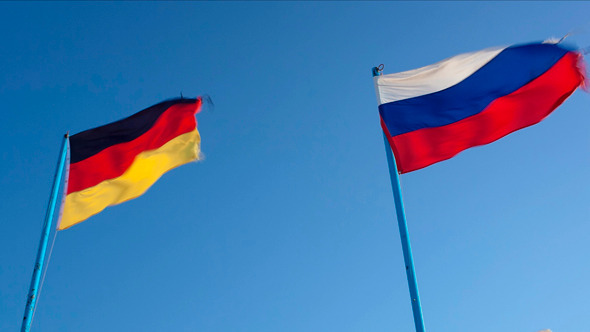 Thus, Berlin admits that it is no use getting worse relations with Russia because of Crimea or Donbass where the conflict broke out because of the actions of the Western countries themselves, including Germany, which supported the Russophobic state coup in Kiev. Your own mistakes must be corrected and, now, we see it is happening. Another German newspaper, the Rheinische Post, published an article which said that Gabriel demanded to stop using intimidation methods in relations with Russia because this "will cause an escalation." "We cannot just watch how the European security architecture is about to turn into a pile of ruins of obsolete, dissolved and broken treaties. Joint efforts are needed to control armaments, which will benefit both Europe and Russia," the German minister said. And it can be understood, after all, according to Gabriel, "military conflicts of the 21st century have come closer to Germany." According to the opinion of the Foreign Minister of Germany, who is also a member of the Social Democratic Party, Europe and the world face the most serious challenges. It is necessary to return to comprehensive conventional arms control and to save the Treaty on the Elimination of Intermediate-Range and Shorter-Range Missiles, signed by Reagan and Gorbachev, and not to stop the dialogue on strategic stability, "to do everything possible to save the existing arms control architecture", to extend Moscow and Washington Treaty START III, expiring in 2021. So, we see a whole foreign policy concept: let's do business which is the whole world depends on, without being distracted by far-fetched problems that lead to a dead end. It is interesting that this was the second statement on the topic that the German politician made over the past week. The leader of the Free Democratic Party (FDP), Christian Lindner, was the first who called for "freezing" the problem of Crimea. Gabriel criticized in his interview the main liberal of the Federal Republic of Germany because the last one wanted to show up on the pages of German newspapers and earn points for him from the voters, who demand good relations with Russia, before the September elections to the Bundestag. Although, in fact, they both said the same thing. In an interview with WestdeutscheAllgemeineZeitung, Lindner said what all sensible Germans think: "Safety and well-being in Europe depend on relations with Moscow, as well," so the conflict around Crimea needs to be stopped "for an indefinite term" to develop relations with Russia. According to the head of the FDP, you can talk about "annexation of Crimea and other imperial gestures of the Kremlin", but it is impossible to think that the resolution of any other issue should depend on the settlement of the Crimean problem, "otherwise there will be no progress in relations" with Russia. And Lindner came to the same conclusion a week later and Gabriel: "Crimea issue is currently impossible to solve," "this conflict should be frozen." Both politicians belong to the top of the German ruling class and are a mouthpiece for its opinions and sentiments. Lindner, by the way, has good chances to become a new foreign minister in the next coalition cabinet, since the Christian Democrats who claim election victory (the CDU / CSU block) have always preferred the free Democrats as coalition partners rather than the social democrats. As it was expected, the FDP will show a good result in the election and will be able to become such a partner. So what do we see? We see a consensus, at least, with regard to Crimea. This means that the "sanctions on Crimea" can stay in force as long as Europe thinks that if it cancels them, it will "lose its face". However, they will lose their meaning very soon. And this is the choice of Germany, and the majority of other European countries will follow it soon.